This year families have had to take legal action in the UK and abroad for the right to have their children attend school with their natural Afro hair, which highlights the persistent problem of hair bias. For World Afro Day (15 September) Ogilvy and Wavemaker have launched a campaign to tackle how society perceives women’s Afro hair and celebrating it in all its natural glory. 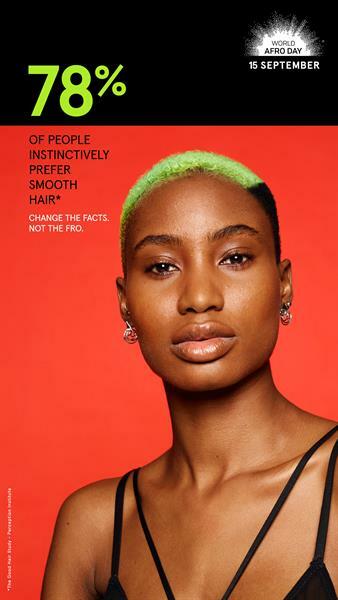 The ads use women’s Afro hair to illustrate startling statistics taken from The Good Hair study, and issue a rallying cry for change and choice. London-based photographer Derrick Kakembo shot the images.